The BBC Sports Personality of the Year award looks almost certain to be handed to Mark Cavendish according to the latest odds from Ladbrokes. 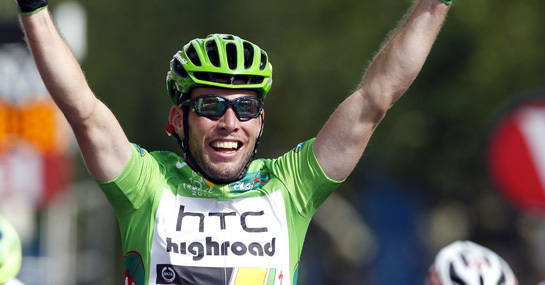 The 26 year-old has been in sensational form in 2011, winning both the green jersey at the Tour de France for his points classification win, and picking up victory in the UCI Road World Championships. His brilliant achievements have seen him cut from 8/13 to 4/9 in the betting and it’s extremely hard to see beyond a win for the Manx man. A victory for Cavendish in the public-voted award would mean he becomes only the third cyclist in the history of the award to win it following Tom Simpson’s triumph in 1965 and Sir Chris Hoy’s win in 2008. It would also see him end a barren couple of years for English athletes who haven’t taken the trophy home since Zara Phillips claimed the award back in 2006. Next in the betting is Open champion Darren Clarke who has drifted out to 4/1 to win the crown and go one better than his second place finish in 2006. Fellow golfer and Northern Irishman Rory McIlroy has drifted to 10/1 to add the Sports Personality of the Year award to his US Open title in 2011. Meanwhile, 5,000m World Champion Mo Farah is 11/1 and is followed closely by World No.1 golfer Luke Donald at 16/1. Amir Khan has now drifted to a massive 100/1 to win the award following his controversial loss against Lamont Peterson at the weekend and is joined by Andy Murray and Andrew Strauss. There have been some brilliant sporting performances from British sportsmen this year but none have dominated their field in the same way as Cavendish and he looks guaranteed to walk away with the award.